Last Month, on 26th October 2015. 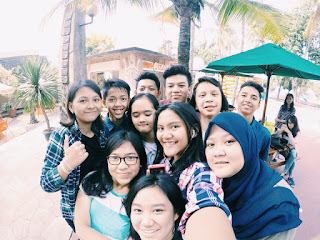 Social class in my school went to Atlantis Waterpark and Dufan. Why di we go there? because we actually had an economic assigment. we need to do a research visitors in Dufan. 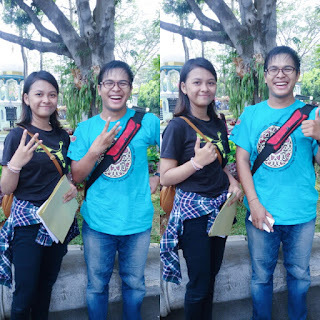 Before we went to atlantis&dufan, we have to gather in SMAN 3 Bandung. why we have to gather there? because we would go together to Dufan by bus. At the bus, i sat with my classmate, she's Ismi. I saw people listening to music, read a book, singing, and much more at the bus. I enjoyed the moment at the bus. Why? because I could laugh with my classmate & my senior. after we arrived in Jakarta, we visited Atlantis waterpark. The weather is very hot. 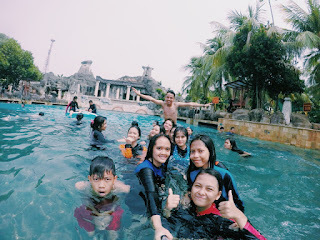 My friends and i swam there, but Ambria, Farisan, Rafif, Faza and Tiara Noviany didn't swim there. At Atlantis Waterpark, I was so happy. why? because my friends and i swim happily. Mr Doni followed we to having fun at there. Finally, interview is done. so, i already do economic assigmnet. After that, my friends and i decided to rides many vehicle at dufan. Fisrt, Faza, Ismi, Ambria, Preston, and I ride hysteria. this's very extreme an scared. but we happy ride this. then we ride ontang-anting, pontang-pontang, kora kora, and many more. oh yaaaaa we visited "istana boneka", "Rumah Miring", "rumah kaca", "Ice Age". After we so happy ride there, we must back to bus, because we'll going back to Bandung. Dufan is a amusement place. we could enjoyed there. I very excited. I hope someday i can going back to dufan and spend my time with my friends or family at dufan. actually, this is the second time i visited Dufan. but i never felt bored to visited there.